The ways to make fudge are almost as endless as the possible flavors of fudge. A twist on your classic fudge recipe is to use cake mix along with other ingredients to create smooth and deliciously rich fudge. Using cake mix to make fudge is less complicated than traditional fudge recipes. 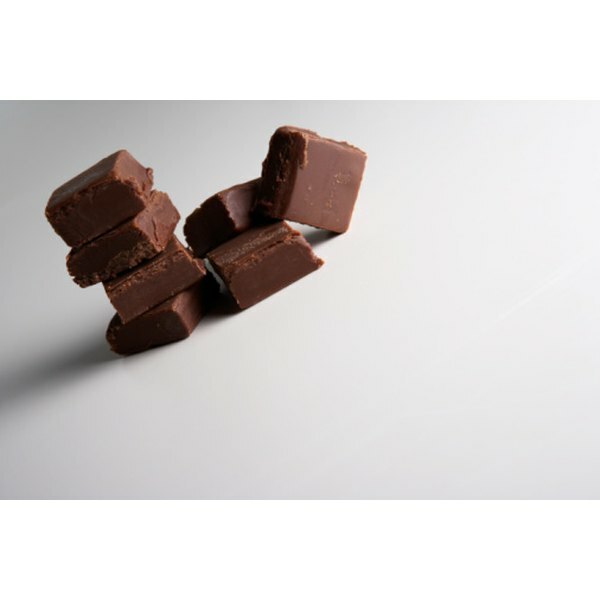 According to recent research, adding a moderate amount of dark chocolate to your diet can help your heart, decreasing blood pressure and improving overall blood flow. These chocolate treats can actually be a healthy snack, when enjoyed in moderation. Line a 9 inch baking pan with aluminum foil. Spray the foil with nonstick cooking spray. Combine the sugar, margarine and evaporated milk in a large saucepan over medium-high heat. Bring mixture to a boil, stirring constantly until butter is completely melted, usually about four minutes. Reduce heat to medium-low. Add chocolate chips, marshmallow creme and cake mix. Continue stirring until chips are melted and the mixture is smooth. Add the vanilla and mix well. Remove from heat and pour the fudge mixture into your baking pan. The fudge will begin to set immediately after being removed from heat, so you will need to work quickly. Allow your fudge to set out at room temperature until it has cooled. Place the fudge into the refrigerator for approximately three hours or until the fudge is firm. Add sprinkles, nuts, chocolate or peanut butter chips to the top of the fudge before it cools for variations on this treat.